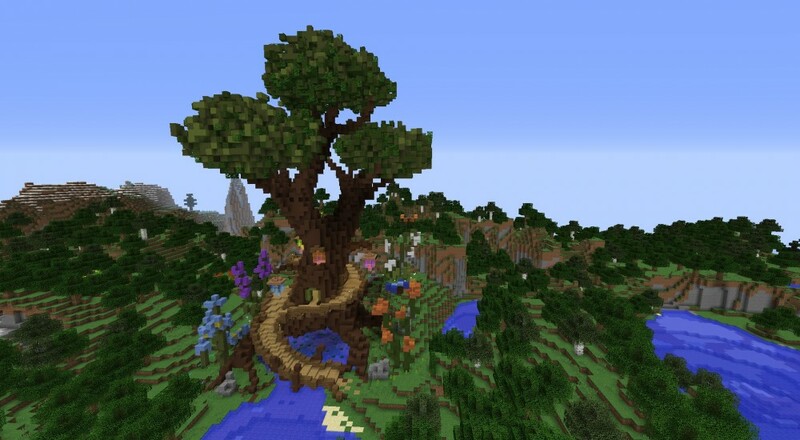 "Realms" are a new addition to the world of Minecraft and they are basically hosted worlds within Microsoft's cloud. From the menu, you can setup a new Realm by selecting the appropriate choice when creating a new world. You can specify how many users are allowed to join (either 2 or 10) and how long the Realm will be available (30 or 180 days). Once it's created, you can invite friends from the Windows 10 version, any supported mobile device, or even those that are lost in the madness that is virtual reality. Now here's the catch. If you have an Xbox Live account, you'll be able to try out Realms for 30-days for free. This is because Xbox Live is getting inserted in to the Gear VR and Pocket editions of the game. Once that trial expires, however, you'll have to cough up a monthly fee for the server, either $3.99 a month for a 3-player server (that's you and two friends) or $7.99 a month for an 11-player server (you and up to ten friends). So yes, this update is friendly to players to allow them to play together across a few platforms, but it is also friendly to Microsoft's wallet. Page created in 0.5793 seconds.